Street art adds character to neighborhoods and can make an uninviting place to walk feel a little more inviting. Cue WalkDenver’s “Art on the Ave” contest. 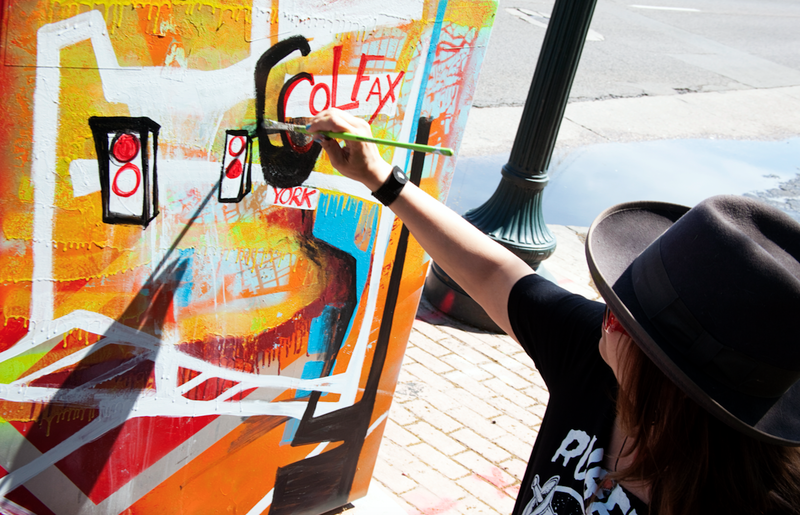 The pedestrian advocates asked 14 artists to treat utility boxes on East Colfax as canvasses this month, and they did, turning drab but necessary sidewalk clutter into colorful works of art. WalkDenver wants the public to decide which artist’s work they like the best by voting for your favorite. You can see images on that survey, but get out and walk it for yourself if you have time before voting closes on July 10. Here’s a map of where the pieces are. WalkDenver will announce the winners, who will receive cash prizes, at its second annual I Walk Colfax gala on July 14. Get tickets to the event and support the work of your local walking advocates — they’re trying to make Denver the most walkable city in the country.